If one had to characterise the state of contemporary French art cinema, one could look to the works of Catherine Breillat, Claire Denis, Bruno Dumont, Alain Guiraudie and François Ozon to notice patterns of mystery, strange violence, and trenchant sexuality. This thematic tradition seems to have been soaked up like a sponge by Jean-Jacques Jauffret in his film Heat Wave (Après le sud), which debuted at the Directors’ Fortnight at the 2011 Cannes Film Festival. Though Heat Wave is not without its noticeable flaws, it’s a generally satisfying cinematic experience, both in terms of story and style. The film’s narrative is relatively bare. Amélie (Adèle Haenel, who went on to star in the Dardennes’ The Unknown Girl as well as Campillo’s 120 Beats Per Minute) lives with her mother, Anne (Sylvie Lachat, probably giving the film’s strongest performance). Amélie, worried that she’s pregnant, shows up late to her mundane grocery store job. There, she distractedly knocks over a bottle of milk that nearly crashes on Georges (Yves Ruellan), a seemingly lonely old man. That same day, Amélie is visited at work by Luigi (Ulysse Grosjean), the young Italian man who is, most likely, the father of Amélie’s child. Meanwhile, Anne (who is clinically overweight) secretly considers an invasive weight-loss surgery. The sparse stories of all four characters dovetail throughout the course of this day-in-the-life film. In some respects, Heat Wave can indulge in film-school pretensions. In one scene, Luigi’s wildly irresponsible friend slams items off of a counter in frustration. This is the kind of violent outburst, popular among fledgling filmmakers, that is supposed to seem like a visceral expression of a strong emotion, but ironically ends up functioning as a lazy substitution for the very emotion it seeks to communicate. A similarly histrionic moment occurs when Anne experiences a debilitating panic attack while waiting in a hospital room. First, the fact that no hospital staff check on her loud gasps stretches credibility considerably. Second, this moment, again, presents extreme emotion inelegantly. These instances seem calculated to signify something to the viewer instead of being organic expressions of the film’s world. What’s more, they are communicated in flat, stationary long takes that sap the film of some of its energy. 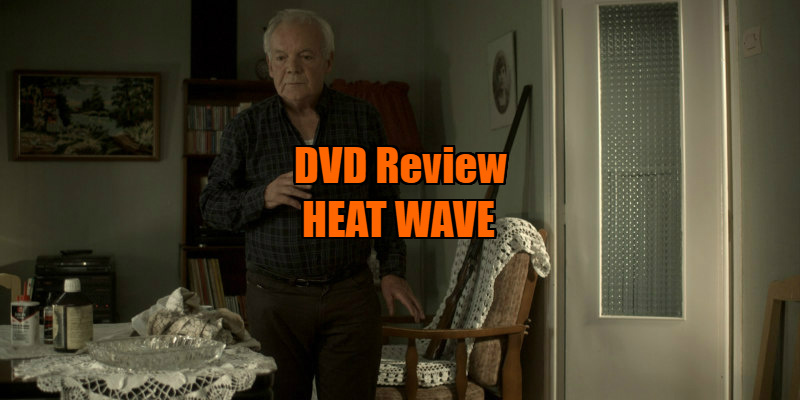 Heat Wave can appear to be a tedious, mopey independent film at first, but the film manages to up the ante of its dramatic stakes at an early enough point to firmly rejuvenate viewer interest. Without giving too much away, a smartly executed jump back in time reveals that certain information we had been given earlier to be untrue. From that moment on, Heat Wave jumps around frequently on its narrative timeline. In a lesser film, this would be disorienting. But Jauffret uses these jumps in time to allow us to see the same moment two or even three times, each time giving us either a more complete picture - or even a completely different understanding - of narrative events. What’s more, such jumps allow Jauffret to play with the synchronicity of the four story lines in surprising and pleasurable ways. Part of why the reshuffling of the timeline doesn’t bog down the film is that each character’s narrative strain gives a simple, nearly parabolic impression of their life. Amélie is pregnant. Luigi doesn’t get along with his father. Anne is considering weight loss surgery. 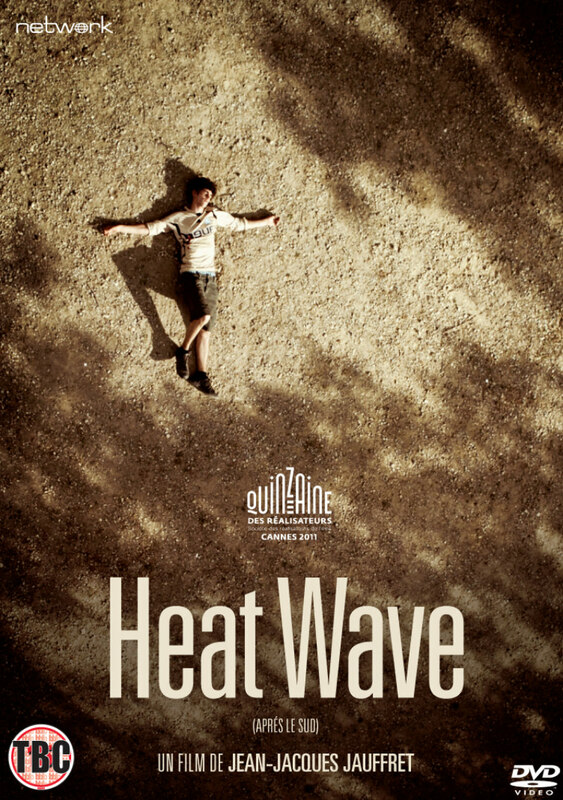 In its presentation of ambiguous outlines of principle characters, Heat Wave resembles Pasolini’s Teorema. While not in the same league as that masterwork, Heat Wave nevertheless showcases images that stand out as having some special extra meaning. For example, Jauffret has a knack for filming shower scenes: Anne’s arm, pressed against a wet transparent plastic shower curtain, or Luigi standing completely exposed in a shower, all have a mysterious, ceremonial ablutionary connotation - one that makes each of their journeys seem a touch more mythic. The final, ambiguous pietà image (one followed by an equally ambiguous moment of arbitrary violence) can seem totally unmotivated by any of the film’s prior events, but it also resonates with a haunted significance. On a technical level, Heat Wave is very well executed. Samuel Dravet’s cinematography imbues each shot with a dusty, hazy heat - a look that pairs well with scenes set in an aging park, a mining compound, and (at the film’s end) a dirt clearing. The hot, stuffy quality of the images is intensified by the film’s exceptional sound design. There is a lightly ominous tension in the subtle, persistent rumbling that accompanies almost every scene. In scenes showing the domestic lives of Amélie, Anne and Georges, a steady sound of cicadas enhances the oppressive heat of the images. In one scene, Amélie rushes to take a pregnancy test as soon as she gets to work. As the camera tracks along with her in the store, we can hear the subtle whoosh of each aisle she passes laid over the general murmur of the store. As she enters the store’s inventory room, the store’s murmur gives way to a low, cavernous, industrial roar, adding to our feeling of unease. The attention to visual and aural detail in Heat Wave helps to reconstruct some of the film’s compelling mystery undone by ungraceful moments of tactless melodrama. With his manipulation of time, symbolically charged narrative strains, and sharp compositional eye, Jauffret proves he has the potential to tell an impressionistic, compellingly structured story, even if Heat Wave’s flaws remind us that such potential has yet to be fully realised. Heat Wave is released on DVD August 20th by Network Releasing.